A piano has 88 keys. You could play these keys in chopsticks style, or you could learn how to master the art of playing the piano. Dr. Joseph Welch could get you there. 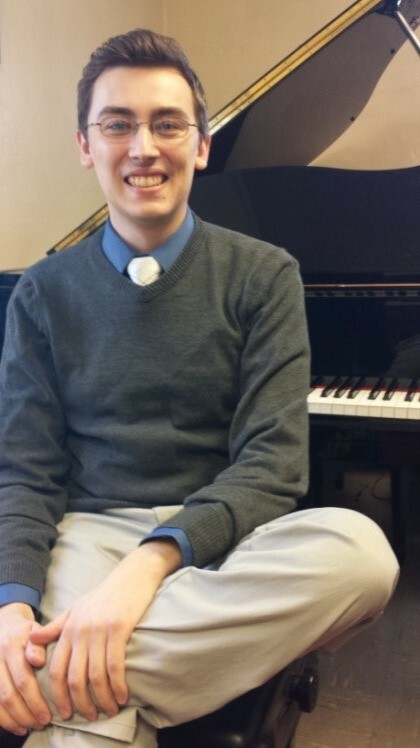 Dr. Welch has been an adjunct faculty member for two years at McKendree, but his experience as a pianist has gone on much longer than that. Dr. Welch has more than 15 years under his belt. I attended Dr. Welch’s recital, and Love Endures All Things was truly amazing. The stage was set, and Dr. Welch sat in the middle and played. One of the pieces included a tenor, a soprano and a violin player. When asked about how much they practiced, Welch chuckled in reply, “Well, the violinist and I practiced twice since we had a lot pieces to play together. The soprano and the tenor – we practiced right before the show; I had just sent them the music and trusted that they would learn it, and they did.” The recital with all of them went off without a hitch. The voices and the piano blended wonderfully and was well received by the crowd. For each piece, Welch played there was a different theme, and the reasons why each song was written was explained in the program. From a song that was a wedding present to an observation of love these songs really went along with the theme of love. Before one of the pieces there was a quote from Everybody Loves Raymond about love and marriage, and what was the key to making marriage work. There was a good turnout to his concert, and there was a variety of people who attended the event. His concert received a much deserved standing ovation. If you did not attend, you missed out on a fine night of the fine arts.